A drama lecturer covering maternity leave has won a top teaching award. In eight months, Jonathan Wharton has “completely transformed the dynamics” within Sunderland College’s drama department, judges have said. He has been named Further Education Lecturer of the Year at the 20th Pearson Teaching Awards. 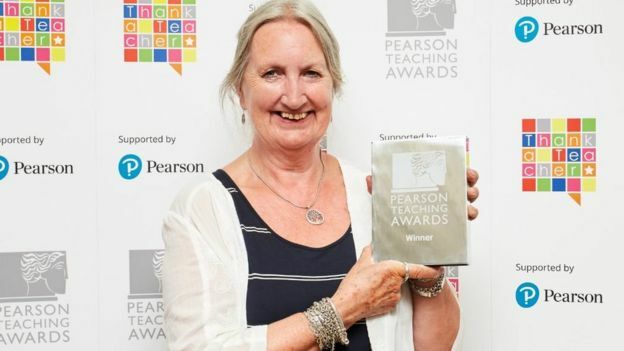 Twelve other “inspirational” teachers and schools from across England and Northern Ireland were also given gold awards. Mr Wharton was praised by judges for being “highly creative in findings ways to inspire and engage” students. He was also commended for free drama sessions he provides at Thornhill Academy in Sunderland. 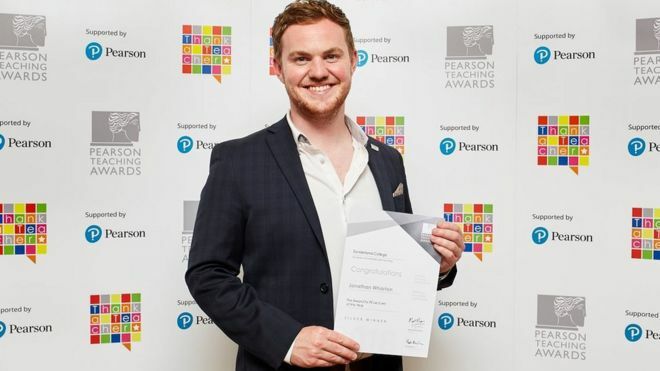 Andy Silvester was credited for “making school fun” as he won the Primary School Teacher of the Year Award for his work at Crowmarsh Gifford Primary School in Wallingford, Oxfordshire. 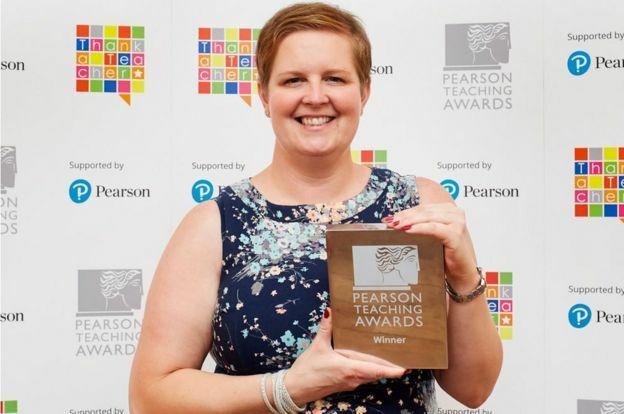 Marie Watson started at the Royal School for the Deaf in Derby as a pupil and now the English and British Sign Language teacher has won the award for Excellence in Special Needs Education. Judges said she is an “excellent role model” and shows children how to “break the barriers of their disability”. The Lifetime Achievement award was presented to Janis Burden, who has been associate head teacher at Moss Side Primary School for 36 years.